The best Polish imported foods! Now you can get traditional Polish foods and groceries at M.J. Polish Deli. 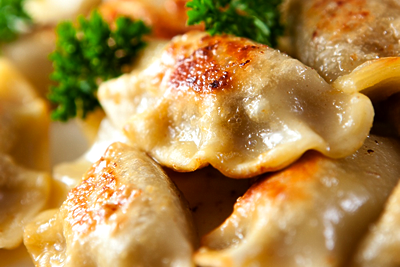 We also have a wide variety of pierogies like sauerkraut, mushroom, meat, strawberry, blueberry, sauerkraut and mushroom, potato, potato and cheese, sweet cheese, plum butter and cabbage pierogi. Stop by and get a little Taste of Poland here in Hammond, Indiana!